How's your Tuesday? Mine is full of food. A happy belly! Many things made my day but dad never fail to make my morning! Dad arrived awhile ago with these. Want some? This afternoon while getting ready for the dinner. Achi gave me some cream puffs! Since my grandpa is celebrating his birthday today, So I decided to cook a yummy pasta. How I wish my grandpa could try it but I know he's happy watching me cooking up there. THIS REALLY MADE MY MORNING! While checking my blog, I saw this! 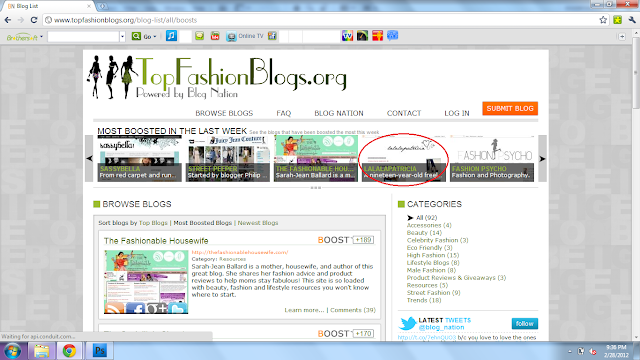 Lalalapatricia was one of the most boosted blog last week. Nothing special but I'm just happy seeing my blog there!